We must magnify the light, not fight the darkness. 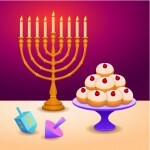 As long as Hanukkah is studied and remembered, Jews will not surrender to the night. 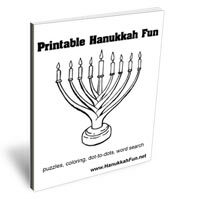 The proper response, as Hanukkah teaches, is not to curse the darkness but to light a candle. Just as Hanukkah candles are lighted one by one from a single flame, so the tale of the miracle is passed from one man to another, from one house to another, and to the whole House of Israel throughout the generations. 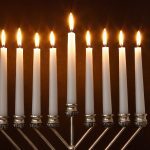 The commandment to light the Hanukkah lamp is an exceedingly precious one, and one should be particularly careful to fulfill it. In order to make known the miracle, and to offer additional praise … to God for the Wonders which He has wrought for us. I have set you for a light of the nations. Darkness, no matter how ominous and intimidating, is not a thing or force: it is merely the absence of light. So light need not combat and overpower darkness in order to displace it – where light is, darkness is not. A thimbleful of light will therefore banish a roomful of darkness. The same is true of good and evil: evil is not a thing or force, but merely the absence or concealment of good. One need not ‘defeat’ the evil in the world; one need only bring to light its inherent goodness.